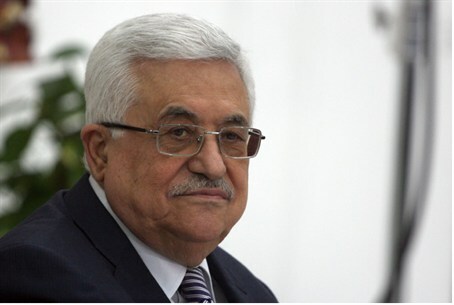 Abbas told Channel 2 that areas within 1949 Armistice lines are Israel's. The spokesman for the Palestinian Authority (PA), Nabil Abu Rudeineh, published a clarification Saturday evening following an interview PA head Mahmoud Abbas gave Israel's Channel 2 television news. After Hamas accused Abbas of giving up the "right of return" of Arabs to territory officially within Israel, Abu Rudeinieh stated: "The Chairman of the PA and the Palestinian leadership will never agree to a state with temporary borders, and he who agrees to a state with temporary borders is the one giving up the Right of Return, damages basic principles and causing a tragedy for future Palestinian generations. When speaking of an entity that believes in temporary borders, he was referring to archrival Hamas. Abu Rudeineh insisted that the Right of Return and the matter of Arab refugees would be discussed in final status talks with Israel. "We hold steadfast regarding the basic principles that the national assembly ratified," he added, "and there is nothing new about this position."